Graphite sheets are a great way to purchase this material for custom use or in order to machine your own form of graphite products. 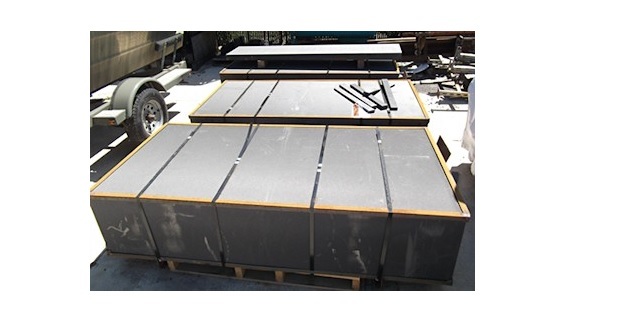 These graphite sheets can range in size depending on the supplier and the applications that they serve. Much like a graphite block, the size of a graphite sheet is completely dependent on the requirements of the application of the final product and the desires of the graphite supplier’s customer. Graphite is used in a wide range of applications because of its physical properties and graphite sheets are a great way to purchase this material as it is typically structured in a layered fashion meaning that these layers can be easily separated in order to create these custom graphite sheets. Graphite is mostly used in applications where heat is present as it has a very high resistance to heat and with a high melting point, graphite can remain structurally stable in some of the highest of temperatures. In addition to being resistant to heat, graphite is allows a great electric conductor due to its vast electron delocalization that is found in the layers of carbon. As we’ve mentioned before graphite is used for a wide range of applications, which means that graphite suppliers work with a number of different industries. Graphite can be found in applications such as batteries, steel making, brake linings, in refractory applications and even in lubricants. The size of the graphite sheet you purchase is going to heavily depend on your application and the amount of graphite that the application requires. Knowing everything you can about your application and relaying this information to your graphite sheet supplier is the best way to get exactly what you need. As with all things in the manufacturing world, finding the right manufacturer or in this case graphite supplier, can mean the difference between an average final product and a premium, high quality product. Finding a graphite sheet manufacturer who has experience working with your industry is a surefire way to get the product that you need based on your individual needs and specifications. Graphite Sheet The material or substance known as graphite can be found in a wide range of applications and industries due to its advantageous physical properties and machinability.